The Scriptwriter, as the name suggests, writes the script, containing the words the actors will speak and the setting they will be filmed in. Before filming, they will take the initial brief and work with the director to develop the characters and story so it is realistic, clear, and meets all the learning objectives. They will then produce a “Requirement Spec” with all the important story information on, such as the characters’ backgrounds, which can be used for casting, costume and so on. They will also develop the script, writing the words (“Dialogue”) for the actors, improving it on the Client and Director’s suggestions as needed. On set, they provide advice to the director as needed on the script, and come up with suggestions for changes to the dialogue when something isn’t working. 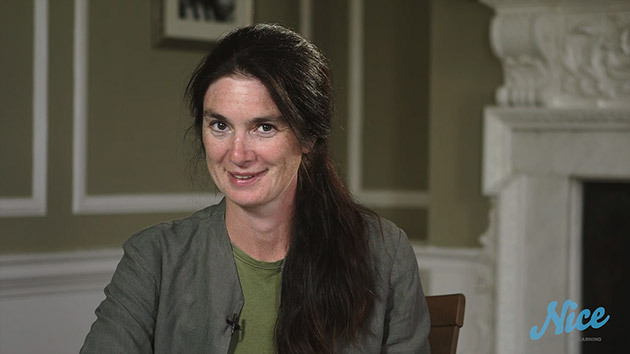 In this video, Scriptwriter Anita Sullivan discusses her role.